Get a sneak peek into Stacy's romantic comedy series set at a theme park. 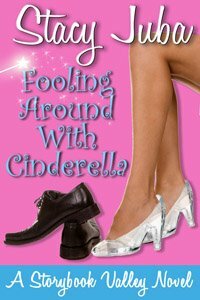 Includes sample chapters, princess tips, interviews, and more. You will also be subscribed to the Staycation newsletter, filled with book news, surprise bonus content, and perks for readers. Sign Up for Fantabulous Friday! Get a weekly digest of Stacy's blog posts delivered to your email on Fridays. Discover new authors through interviews, excerpts, and book spotlights. Stay in the loop for group giveaway events, the latest resources for writers, Family Diabetes Crossroads posts, and much more. Thank you for your interest in Fantabulous Friday! You will receive a confirmation email shortly. Please note that your subscription won't be complete until you hit the confirmation button. Thanks again! I'd like to receive a weekly blog post digest.